I love a good pair of sandals or flip flops and if I find a comfy pair which don’t rub I will wear them into the ground. When The Board Basement asked if I would like to review a pair of Reef Miss J-Bay flip flops for them I was super keen. My only concern was the weather! I’m not sure if anyone else has noticed but it hasn’t been very summery of late. I worried I wouldn’t get a chance to strut my stuff in my stylish new shoes. The perfect opportunity came up, however, in the shape of the Alpkit Big Shakeout Festival. 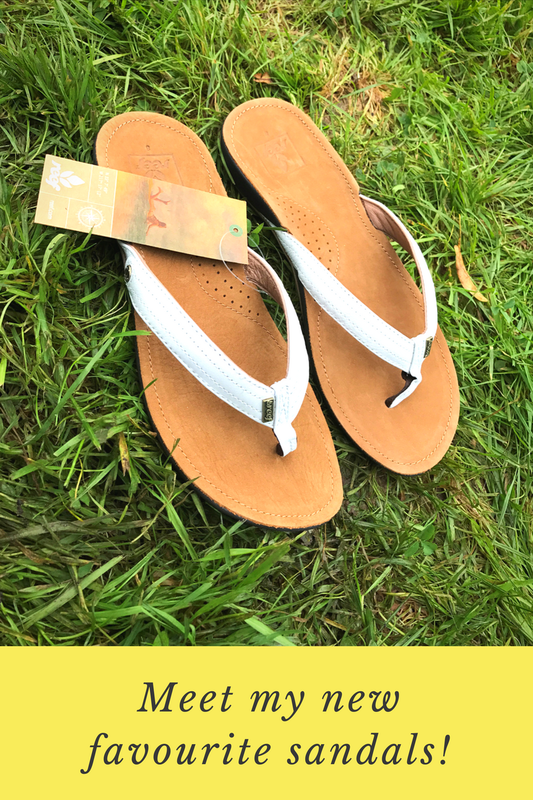 The Miss J-Bay are described as flip flops but my first thought when they arrived was that I would describe them as sandals. It’s immediately obvious that the quality of the materials, much of which is recycled, is excellent. They have a lovely thick foot bed, with anatomical arch support, which moulds to your foot over time. I wanted to put them on straight away but resisted the urge, choosing to save them for my weekend. We were camping at the Big Shakeout and anyone who knows me knows I don’t like camping! The most basic accommodation is fine but I just prefer to be able to stand up, not feel permanently damp and not have to get dressed to trudge to a toilet in the middle of the night. All this means a little comfort i s much appreciated. On the Saturday a group of us headed out for a muddy, hilly, tough but fun run. On our return my feet were battered and filthy. I needed to head to the showers and the sandals were perfect! Slipping them on was the perfect tonic for my aching soles. 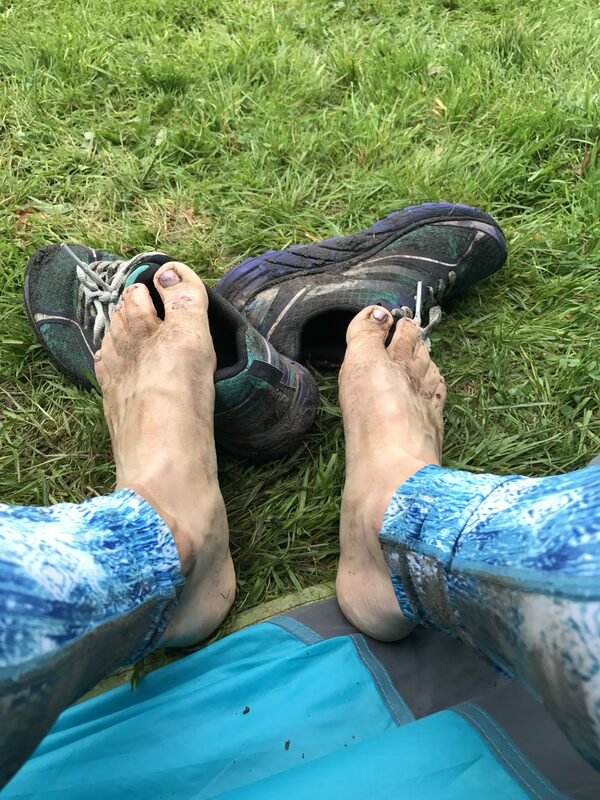 They didn’t just feel good, they looked great too (despite my mud caked feet!). My sister and friends all admired them. I knew straight away that these were something I could happily wear all day. The shoes mould to your feet over time, easing any pressure points. Just what a foot weary adventurer needs! When Can I Wear Them Again?! A healthy dose of rain meant that my wellies had to be deployed for mush of the weekend. But I can’t wait until the summer to flash my flip flops again! Luckily I am heading back to the Peak District this weekend. This time Brew and I will be running eighteen miles before staying in a bunkhouse. My Miss J-Bay sandals were one of the first things I packed. I know I will be looking forward to slipping them on this evening. The sandals get extra points for being environmentally friendly. I mentioned that much of the material is recycled but they are also made with ISA L.I.T.E materials. In case you don’t know (and I didn’t) L.I.T.E stands for Low Impact to the Environment. Smiley faces all round!